Mike has lived in several different settings throughout his life, but made the easy decision of calling the Outer Banks home. During this time, Mike worked in the construction and hospitality business and built solid connections in the area. 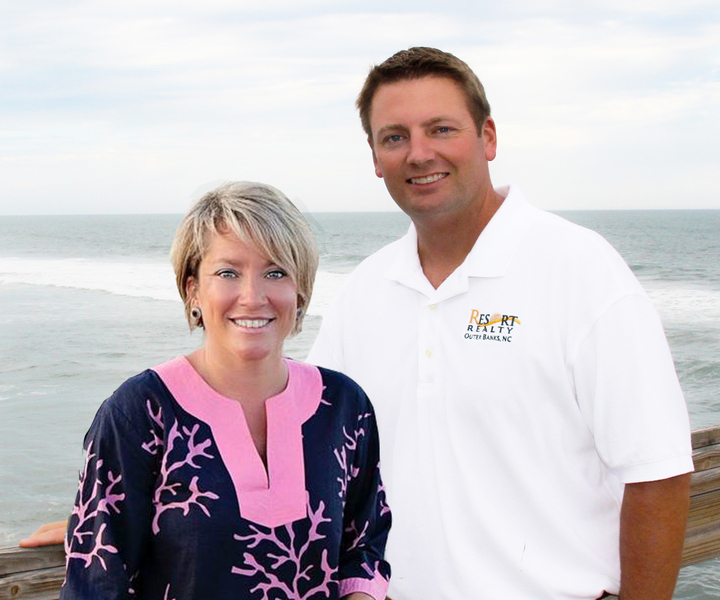 With this experience and love for the Outer Banks, Mike decided to transition to a career in real estate. In a short time, Mike has excelled in the real estate market and built lasting relationships with his clients. Many factors contribute to Mike’s flourishing career in real estate. Perhaps the most important is his ability to understand the client’s wants and needs and customize the house hunting experience. With a wide array of listings, from starter homes to oceanfront mansions, Mike has worked with a variety of clients and knows what is out there. From Corolla to Hatteras, he is an expert on the area and each town’s distinguished communities. With a proactive approach to marketing, his client’s homes are featured on top listings sites to gain maximum exposure and insure their home is sold in a desirable time frame. His strong negotiation skills allow buyers and sellers to make the most out of their investment. Mike’s enthusiasm even inspired his wife Stacy to begin her real estate career. If are looking to buy or sell on the Outer Banks or just interested in learning more about the area, feel free to contact them.